Joshua Tree National Park Campgrounds. You can pitch a tent and sleep under the stars the old-fashioned way, and it is only going to cost you $20 per night. But you do need to plan ahead and to have a backup because the campsites can fill up quick depending on the time of the year. Mountain Shadow Cabin. This should run you $69 per night. Pricier, but it’s a great, comfortable cabin housed on a quiet desert land. It’s very peaceful and the cheapest you can get without sacrificing anything in the way of comfort. Don’t know where to stay in Joshua Tree National Park? 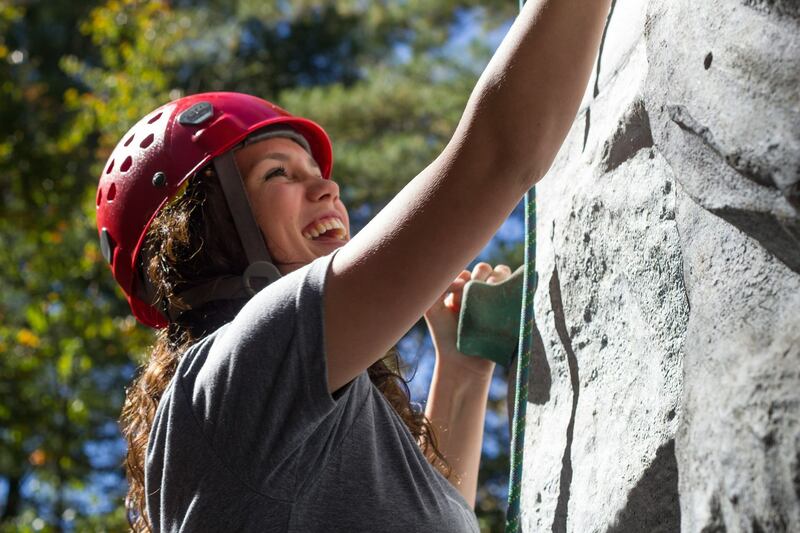 Let our expert rock climbing women guides show you around. There is an abundance of options when it comes to places to eat, and you won’t have any trouble looking for places to grab your grub. But one recommendation is the Joshua Tree Coffee Company, which serves some of the freshest organic roasted coffee in the area. Nothing beats starting your hiking and climbing day with a sip of a freshly brewed cup of joe. Alternatively, you can drop by the JT Country Kitchen, which as a homey feel and is one of the places in the area that serve breakfast all day long. It’s the place to go for comfort food. A visit to the Joshua Tree Park without rock climbing is no visit at all. So make sure your itinerary includes rock climbing. But don’t try it alone if you have no experience. Get a guide from Joshua Tree Uprising, they have friendly, expert trainers who will teach you the basics of rock climbing, and will serve as your guide and traveling companions. This is particularly important for rock climbing women who are unfamiliar with the area. You will be in safe hands, and they’re very, very good guides that it sometimes feels like you’re hiring an actual friend as opposed to a rock climbing women guide.